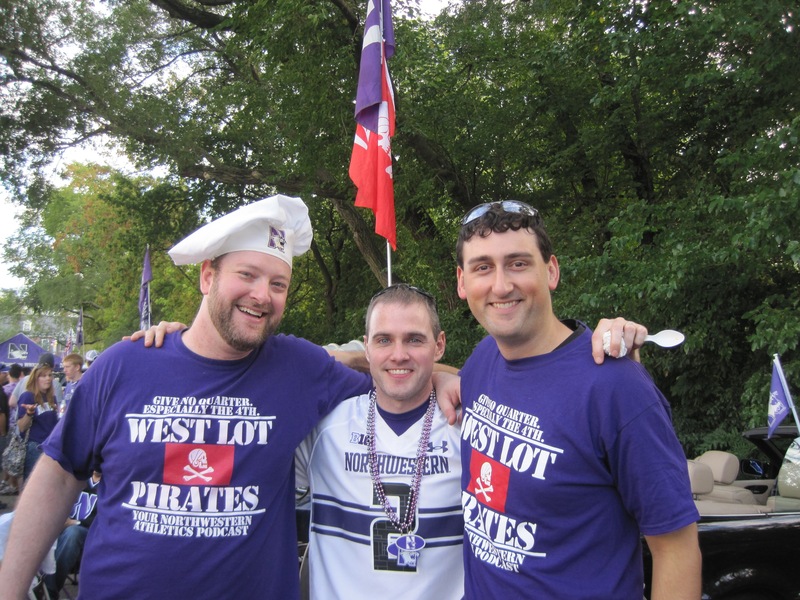 The West Lot Pirates are the premier Northwestern athletics podcast and have been podcasting weekly episodes since December of 2011. We are three die-hard NU fans who have known each other for more than 15 years, and have a passion for all things college football. We rarely miss a home game for NU and spend our fall Saturdays tailgating in the West Lot, underneath the red pirate flag*. For the fun of it, we decided to pool our enthusiasm into this podcast, both to focus on NU and to delve into the greater world of college sports. We primarily cover Northwestern Football, but have a great love for all things NU and will discuss Basketball, Lacrosse, Softball, and other sports in depth. We’re always excited to continue the discussion, so please feel free to post your comments and questions here on our website, via email (westlotpirates@gmail.com), via Twitter (@westlotpirates, @NUMBTenor21, @JohnBLacombe, @Scuzz23), or on our voicemail line 847-231-CATS (2287). * Pirate ships flew a red flag to indicate that they “give no quarter” or essentially spared no prisoners. I like your arrival and contribution to Wildcat coverage. Please add baseball to your plans for coverage of Wildcat news.